He has previously been a Fulbright-Schuman fellow at Harvard University’s Centre for European Studies and a senior research fellow at the University of Oxford’s Department of Politics and International Relations. 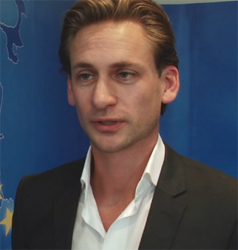 And, from 2008-2016, he was an associate professor of European integration and international relations at Utrecht University. His specialist fields of research are international financial economic governance, Franco-German relations, transatlantic relations and European integration past and present. And, his recent publications include Europa en de terugkeer van de geschiedenis [Europe and the Return of History] (Prometheus, 2016), Waagstuk Europe: Nederland en de grote Europese vraagstukken van vandaag [The European Wager: The Netherlands and the Challenges Facing Europe Today] (Prometheus, 2014) and Reis naar het continent. Nederland en de Europese integratie, 1950 tot heden [A Trip to the Continent: The Netherlands and European Integration since the 1950s] (Amsterdam: Bert Bakker, 2013). Information valid as of spring 2017.